A few weeks ago I just had a hankering for Mourvedre. So off I went in search of something new. I took this off the shelf and was excited by a new label I was yet to experience. A simple yet attractive label with a wax seal, I thought I was onto a good thing... Not so much. Natural wines have caused some divide amongst wine enthusiasts - you are either for them or completely against. I'm happy to say I have had some very good experiences whilst others ended in the sink, like this wine. Not fined or filtered, the wine was wild yeast fermented. In the glass it was cloudy and dirty. It just didn't look right nor appealing leaving a milky type film as I swirled it about. I thought I was missing something but with an open mind I pushed on. 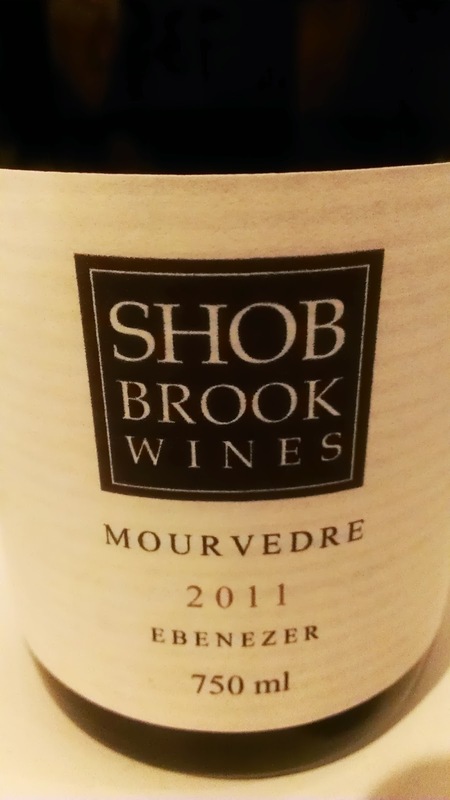 Savoury aromas, fresh thyme and salt bush. Not bad. Not bad at all. But once I opened the hatch things fell apart for me. Flavours were slippery with a texture which I can only describe as messy. The juicy fruit flavours I yearned for were definitely not there. You win some. You lose some. Sadly I lost out here. Another light and fresh type from Draytons. Honeydew melon and fresh cut herb aromas are the highlights but nothing to get too excited about. Green apple flavours wrapped up by some crunchy acid. There is some textural appeal but the slippery feel on the finish came across as though the wine lacked polish. The oil from some pan fried fish would remove this I suspect. 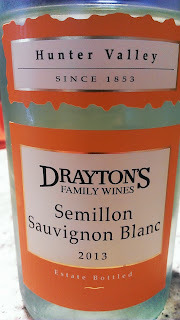 For $20, there are other Semillons I would lean towards. Made by new winemaker Edgar Vale, it's a blend of Hunter Valley Semillon (88%) and Orange Sauvignon Blanc (12%). The wine throws out lots of tropical and melon aromas with a smidge of honey. It's light and fresh and going off this, I was keen to see what was next. What followed was a simple wine which didn't scale any lofty heights. Flavours were thin, watery even. A long finish which did surprise. I can see the appeal the wine would have for some but it's not one for me. This was a great opportunity to put two different vintages alongside one another. And given the chance to do the same regardless of the wine or variety, I recommend you do the same. It gives you a much better sense of place and understanding how the wine has evolved. Where it has been and where it could go to. The 2005 was bottled in July of that year and has developed beautifully. Easily my preferred wine of the two. Though saying that, it still has plenty of gas left in the tank and will continue to comfortably age for at least another decade. A light and bright appearance with a touch of golden sunshine. Flavours are soft and generous delivering lemons and even pear. 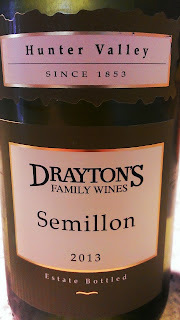 The aged Semillon characteristic of kerosene is sprayed through just enough to have an impact but certainly not enough to overpower. Acid has settled beautifully but still delivers some vibrancy. 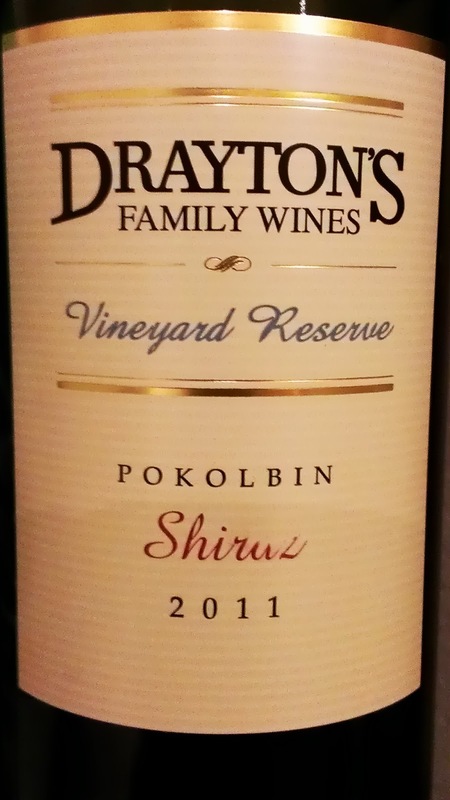 A bloody nice drop and handy value at $27. 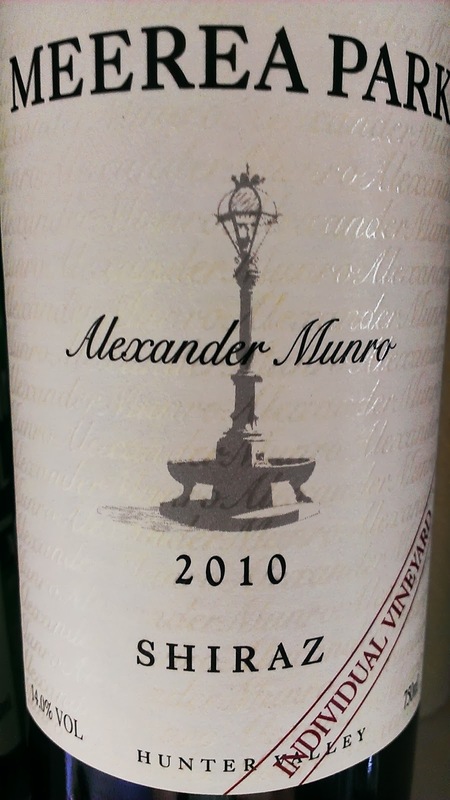 The 2007 was bottled in July of the same year and whilst it has moved into the next phase of development, it still has a long time to go to get near the 2005. Aromas are fresh and the flavours linger. Lemony acid is still tight and seems unwilling to chill out at this stage. The longer the wine was open the better it drank but this wine was clearly made to age and age it will. Should you choose to drink now, an oily dish such as fish and chips will be the match you are after. 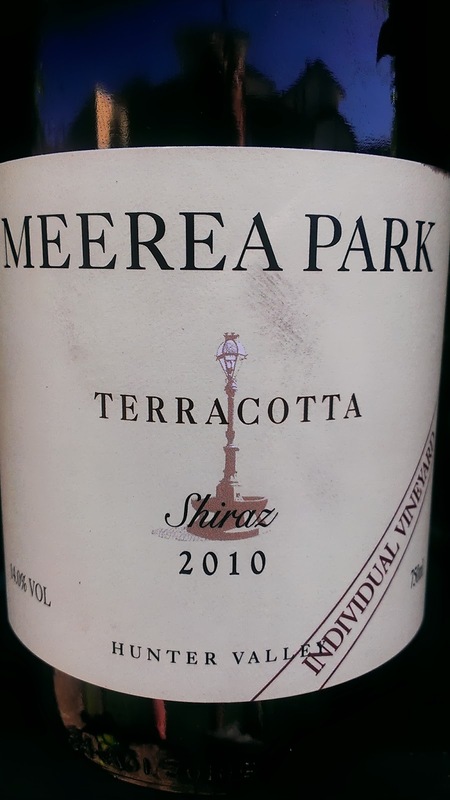 A Shiraz laced with pepper and spicey black fruits. My first whiff picked up a truckload of smoke, bacon and savoury dried herbs. After this I imagined the flavours to be deep, and that they were. Over the course of three days the wine stayed true to form so throwing this in a dark spot for ten years won't harm it. The initial taste of spice fused with the fruit better on day three. I'd be keen to have another look at this in five years or so to see where it is at. For now though, I'd be happy to have a glass or two. I really enjoy the opportunity to have a look at wines which come from small operations. This sample arrived from Main & Cherry and I was already captivated by the simple yet effective label. Named after the nearby intersection of Main and Cherry Gardens roads, this winery is currently converting their vineyard to Biodynamics. 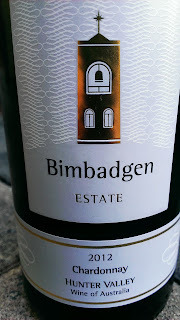 Due to the wet 2011, a portion of fruit from McLaren Vale (18%) was added to the Adelaide Hills fruit to bolster the end result and this has worked to very good effect. All fruit is handpicked and spent time in 100% old American oak. Was I making things up when I thought there was a taste of cherry in there? Preconceived ideas from the label perhaps? Nah. No way! Bright, vibrant and uplifting aromatics. 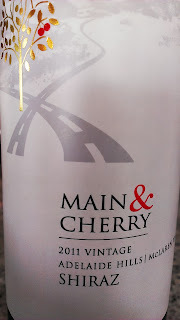 Unmistakable cherry sits in the background, black pepper corns, juicy fruit, some sweetness from the American oak and an ever so slight taste of lavender. The fruit slips through to the back palate and some firmish acid ensures this wine will cellar well through the medium term. 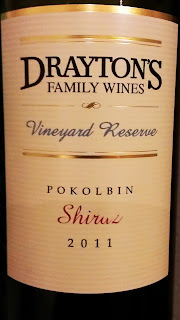 The longer the wine was open the more depth it delivered with plums and lots of berry fruit highlights. Being open for four days, the wine was still drinking solidly. The dense flavours of the McLaren Vale fruit came to the fore on days three and four. Finishing with dusty tannins, there was certainly plenty going on with this drop. 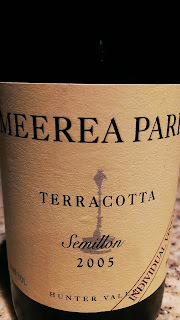 A most enjoyable wine priced very well at $20. Available at numerous bottle shops and restaurants in most states. Check the website for availability. 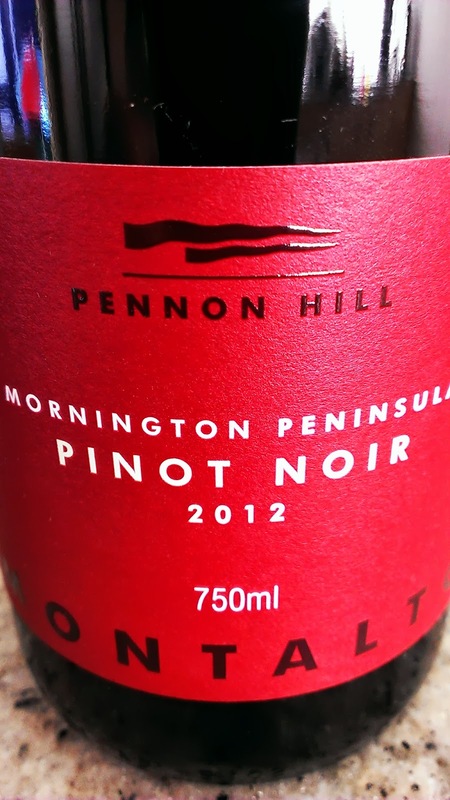 This single vineyard Pinot comes from a vineyard 55 metres above sea level with grey loam over clay soil. Once again, different conditions to the two other 2012 single vineyard releases from Montalto. 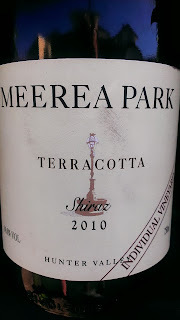 Dark cherry, rich earth, soft plum and gentle pepper were the highlights. The fruit is fresh and bright and a little fruit sweetness is evident. Flavours dominate the mid palate and finish with a generous length. A few more years and this will be singing. Though not my preferred of the three single vineyard wines from 2012, this is still a very good wine. 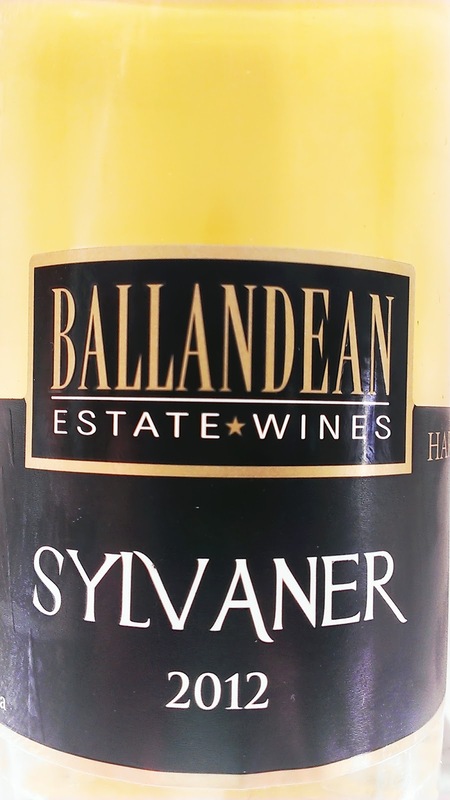 Sylvaner is more common in Europe than in Australia. According to VinoDiversity there are only ten wineries in Australia using it. 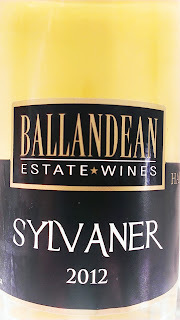 Ballandean Estate are famous for their Sylvaner which they use to make a Late Harvest style. I have had it a few times now and I continue to be impressed. Fresh apricot, tinned peach nectar, palm sugar and slight apricot jam are the highlights. It is not thick and syrupy. Quite sweet, clean flavours linger beautifully. Presented in a 375mL bottle under screw cap it has proven to cellar well in the past and I can't see why this one won't hang around for another ten years. I had this with a chocolate tart... a perfect match. Laced with tropical fruit this wine is ideal for a sunny spring or summer afternoon. A refreshing drop that can be easily enjoyed on its own. On the flip side, it would love a bucket of prawns to sit beside it. Pineapple, lychee, passionfruit and honeydew melon are the heroes here. Fresh and uplifting aromas move to a fruity palate which is crisp. A little spice tickle to finish. In all, a drop I would happily throw $20 at. Still a young wine and well off its peak drinking but definitely a wine worth putting away. Single vineyard fruit with all the bells and whistles applied, there is so much interest in the bottle. Coffee, black fruits and a hint of dried fig. After spending some time in the decanter to resuscitate itself, new levels of flavour were unleashed in the form of rum and raisin, savoury characters, earthiness and faint clove. Cop that! Oak has been well worked and integrated nicely. The fruit is very soft and delicate and a most impressive length keeps you yearning for more. With all this happening now, I can only imagine how it will all fuse together in a few years let alone the decades of potential it has ahead. 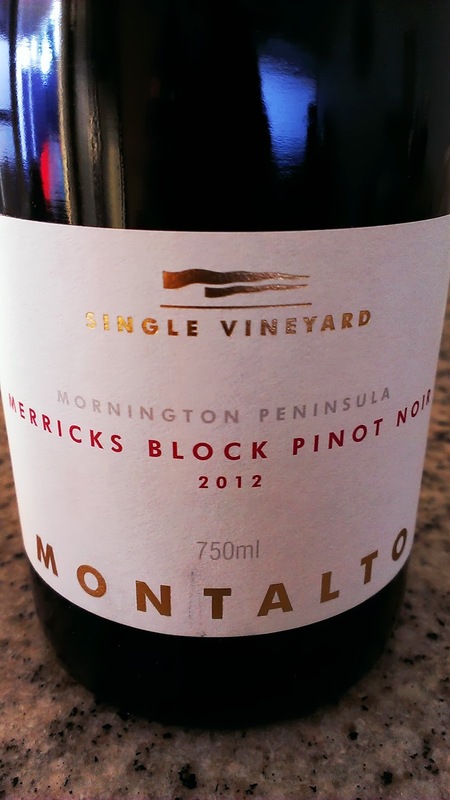 This is Montalto’s entry level Pinot. 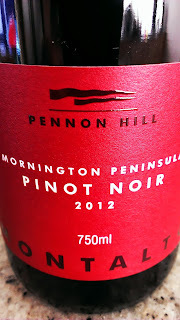 All the usual Pinot characters are present but the flavours are a little more concentrated. Strawberry, strawberry jam, dark cherries kick around. After being open for a few hours a peppery aroma arrives adding another dimension along with some earthy characters on the palate finishing with slippery tannins. Fruit is soft and well balanced but nothing to make you scream from the rooftops. It’s just a good drink. I'm not sure what more winemaker Duncan Cook needs to do to get some more street cred. His wines are stunning value and this SSB is no exception. A 60/40 blend with the Semillon from Cowra and the Sauvignon Blanc coming from Orange. 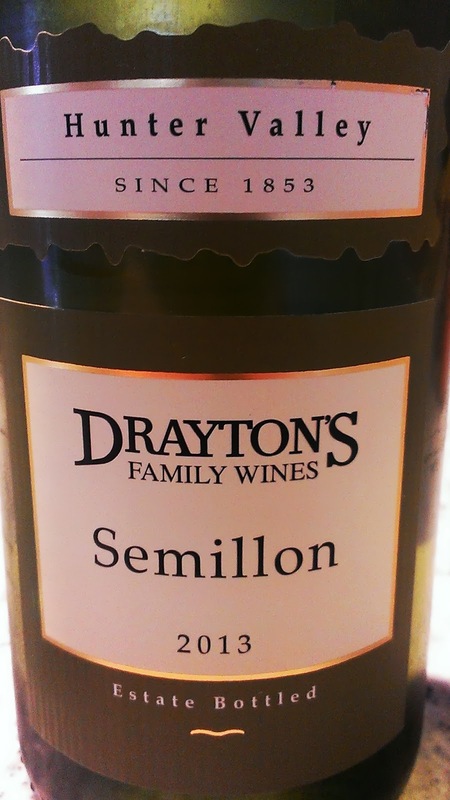 Previous to this vintage Duncan used Semillon from an unirrigated vineyard. A heatwave wiped this out so an alternate source was found. Grassy, honeydew melon and passion fruit characters straight up. So fresh and bright I couldn't help but be impressed. 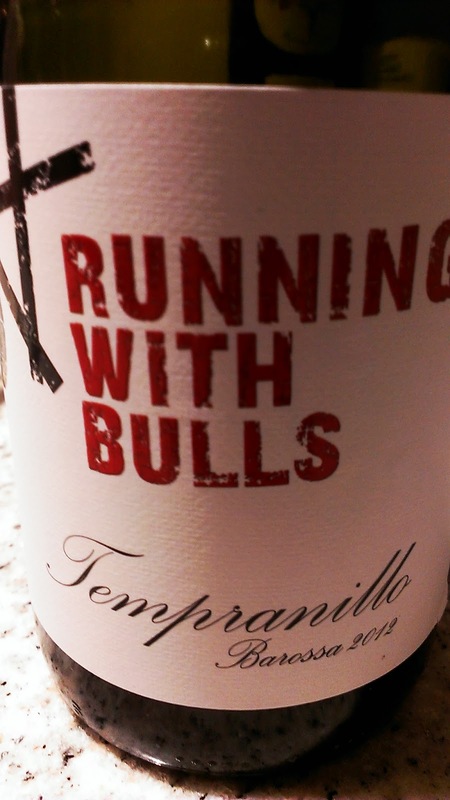 Generous flavours are delivered in a nicely balanced wine. Hello fish and chips. For twenty bucks, bang that BARGAIN drum...hard!! 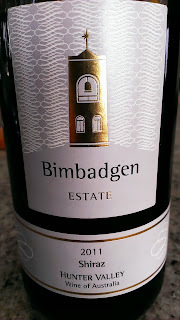 A good Shiraz which loves food to dance alongside. Roast beef, char, black fruit, and some pepper all throw themselves into the fray. There is a distinct aroma which I can only describe as Lilly Pilly berry. An aroma in a wine I'm yet to come across before now and I didn't mind it. The wine softened over a few days delivering a good length and fair fruit weight. Drink within five years and match with barbecued meats. This Terracotta Shiraz is named after the red clay soils where the fruit for this single vineyard wine is grown. Co-fermented with a dollop of Viognier (3%), whole bunches are also used (30%). French oak housed the wine for 20 months and I was captivated from the outset with the cedar aromas spilling from the glass. Black fruit, chocolate, a hint of clove, cured meat and some smoke added to a complex flavour profile. 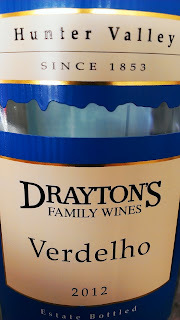 Concentrated flavours were dense, juicy...terrific! 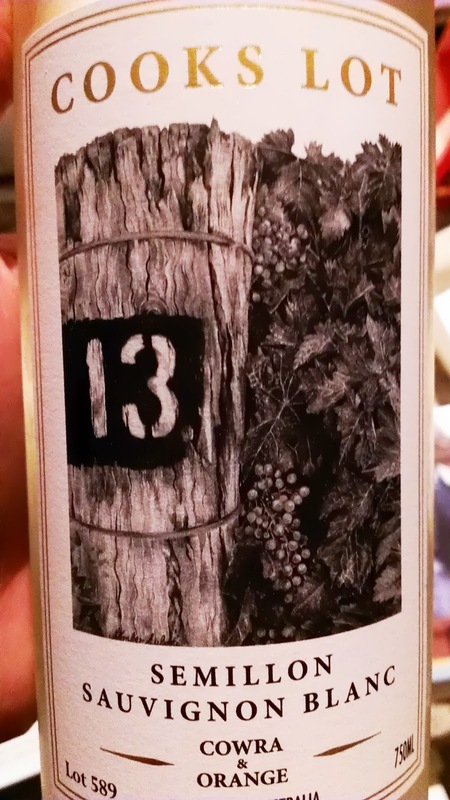 A wine you could snuggle up to and happily sip away. Have with red meat or even a square of chocolate wedged in the side of your mouth. A wine I'd happily buy and cellar for the next few years (up to ten). A great example of a food friendly drop. I had this with Veal Saltimbocca, and with the tomato based sauce, this wine hit the spot. Overripe cherry and sweet spice aromas. Soft cherry flavours in the mouth seemed to rush to the back. The cinnamon spice characters linger with some touches of oak. Tannins were grippy, grainy and a little drying. Running with Bulls also has a Tempranillo made with fruit from Wrattonbully (posted in March) which when comparing the two, I much prefer. I have seen the wine discounted below $20 which is good news for those seeking to purchase. Drink within five years. Bimbadgen produce many easy drinking wines, and here is another which delivers a few layers of flavour. A whiff of daisy flower, canned pear, vanillin oak. Some melon characters and even a taste of flat apple cider. Oak is present and is not too heavy buts adds to the textural features. Some spice leads to a long length. Nothing wow factorish, just a good solid drink. 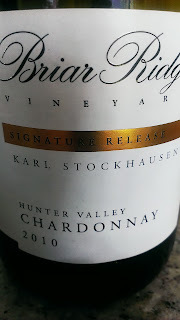 Captivating aromas of stone fruit, spiced pear, vanilla slice and lemon pudding. Some slight palate warmth but the acid profile just doesn't have a snug fit for me. The fruit washes through but the acid lingers. When partnered with food, the acid didn't seem to be much of an issue. An okay drink but nothing I'd be rushing out to buy.